How many teenagers are on this level? Seriously how does she manage it at only 14. It was obvious that Willow Smith was going to be more than the average child star when she busted out the enormously catchy ‘Whip my Hair’ when she was only ten. After taking a break for a while to become a mini fashionista and hang out with her model family Willow seems to have decided to take things into her own hands and has started putting up her demos on Soundcloud. This isn’t even a full post as there are no official releases but these songs made me so excited and hopeful for what’s still to come from our Willow. The afrocentric, trip hop tracks are slightly reminiscent of FKA Twigs, De La Soul and Erykah Badu. On ‘Cares’ Willow gives us an upbeat freestyle about living her life for herself. ‘Female Energy’ is a drowsy, vulnerable number where Willow tries to convince us she’s ok, stating “what you do is not my problem”. Ultimately this is early days but if these few demos are anything to say about what’s to come then I can’t wait to hear what’s next from the youngest of the Smith family. UPDATE: Oops I missed the fact that Willow just released an EP titled 3. It’s still awesome and you can listen here. 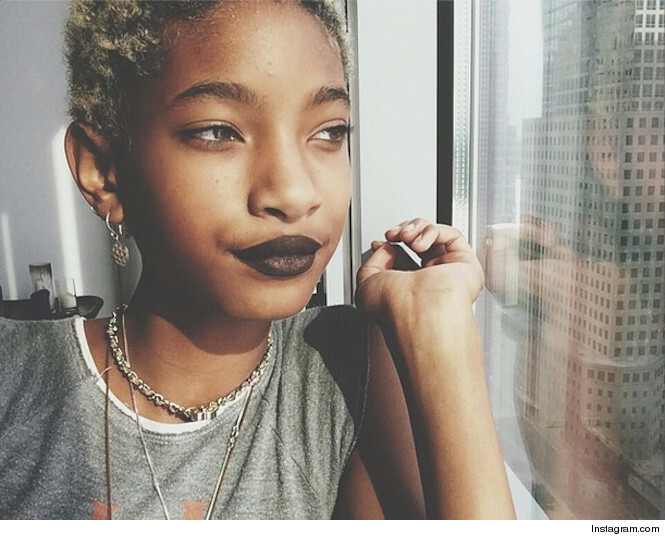 Tags: willow smith. Bookmark the permalink.